Los Angeles (AFP) - Former undisputed boxing champion O'Neil Bell was gunned down in Atlanta by apparent robbers, US media reported. No arrests have been made but police said they are looking for up to four males. Police are also searching for a 2006 Chrysler PT Cruiser which was reportedly stolen Tuesday night. 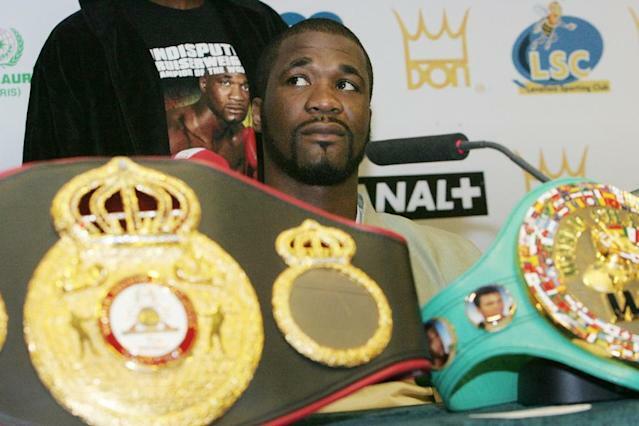 The Jamaican-born former cruiserweight champ finished his 13-year career with a record of 27 wins, four losses, one draw and 25 knockouts. Bell held the World Boxing Council, International Boxing Federation and World Boxing Association titles at the same time after knocking out France's Jean-Marc Mormeck in 2006. They fought again 14 months later in France, with Mormeck winning by unanimous decision. Bell's last fight was December 2011 when he knocked out Rico Cason in the first round.